Will Germany really ban fracking? The German government says it will soon move to ban fracking in the country until 2021, which would make it the latest nation (after France and Bulgaria) to eliminate the destructive natural gas drilling process. In a press briefing, Economy Minister Sigmar Gabriel and Environmental Minister Barbara Hendricks noted that legislation will be drawn up and approved in the final half of the year. "There won't be fracking of shale gas or coal gas for economic reasons in the foreseeable future," confirmed Hendricks. However, one can read in between the lines and see that there is still room for exploitation by natural gas corporations. Case in point: there are a number of "special circumstances" which would allow fracking to circumvent the legislation. An example is that the law's language states that "unconventional" fracking cannot take place more than 3,000 meters below the surface - but "conventional" fracking can. While this will still effectively prevent fracking from, in most cases, contaminating groundwater, it will not prevent it from triggering small earthquakes. Political parties including the Green Party have reacted with strong criticism; the chairman of the Greens' parliamentary group, Oliver Krischer, went as far as to call it a "fracking-enabling law," recognizing the distinction between this potentially deceptive proposal and an actual fracking ban - "a regulation that does not allow fracking in Germany and without loopholes that are as big as a barn door." Hubertus Zdebel of the Left party agreed, noting, "Fracking must be banned in Germany without any exceptions. To say that there is a fracking ban in the paper is window dressing. They want to enforce a regulation which mostly allows fracking under the guise of an alleged ban." Citing estimates obtained from the Federal Institute of Geosciences and Natural Resources, he added, "The planned restrictions will still allow the exploitation of half of all unconventional natural gas deposits in Germany." He also said there are other potential risks associated with allowing deep fracking, including uncontrolled methane gas emissions. Francisco Szekely, writer for EnergyBiz, remarked that the legislation is likely a play to quell environmentalists' fears while also reducing Germany's dependency upon Russia for gas imports. He said, however, "This decision is not a sustainable solution. The temporary relief of geopolitics should not be achieved at the long-term cost of environmental degradation. To put our economy and our world on a path to sustainability, governments and companies need to focus on doing real good for society and not just doing less harm, as seems to be the case" with this fracking issue. "With evidence of climate change becoming clearer than ever," he added, Germany should be "thinking carefully before allowing fracking in their territory. Moreover, whatever short-term promise fracking offers is also taking our sense of urgency away from transitioning to more renewable sources of energy such as wind and solar power." 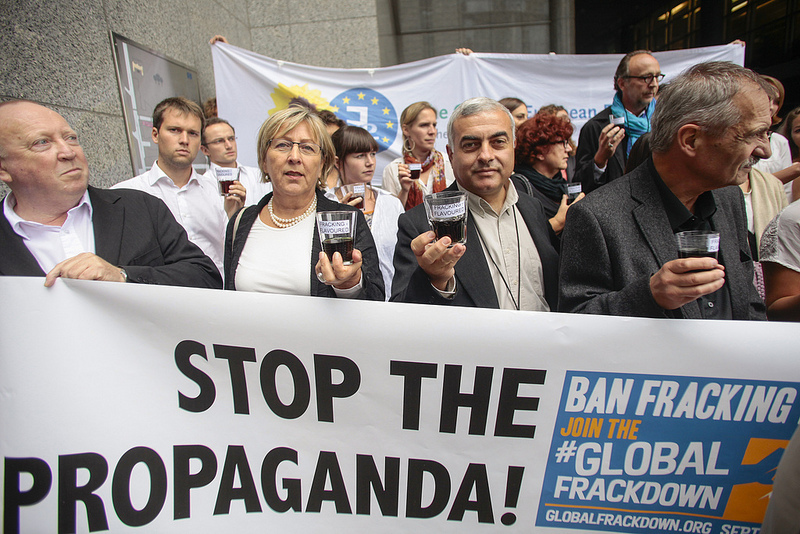 So in short, one might conclude, Germany's "fracking ban" may be little more than a smoke-and-mirror tactic. Said Szekely: "To quote Albert Einstein, 'We cannot solve problems by using the same kind of thinking we used when we created them.'" The UK government admits that it doesn't expect to meet EU's legal limits for nitrogen dioxide air pollution in London, Birmingham and Leeds until after 2030. That means the UK will miss EU’s deadline by over 20 years – potentially resulting in the death of thousands of people. Air pollution has serious health impacts, a recent WHO study concluded that about 7 million people around the world died in 2012 as a result from exposure to air pollution. And it’s expected that 29 000 people die too early as a result of air pollution in the UK alone. 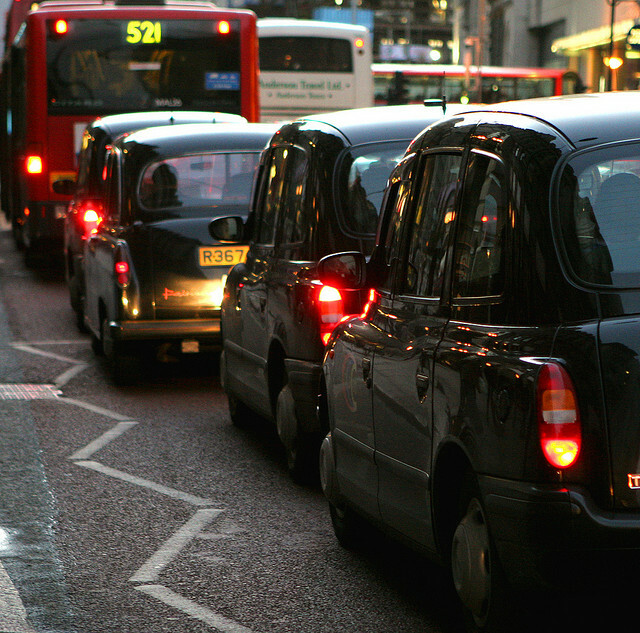 Now the UK government has admitted that they don’t expect to meet EU’s legal limits for nitrogen dioxide air pollution in at least three major cities until after 2030 – over 20 years too late and five years later than previously admitted. The UK was supposed to meet EU’s legal air pollution limits back in 2010 but the progress to reduce the emissions has been slow. The failure to meet the deadline has resulted in legal procedures against the UK which could result in fines of £300m a year. EU Commission lawyers has described the case as “a matter of life and death” and said this would be “perhaps the longest running infringement of EU law in history”. Judges at the Court of Justice of EU, where the legal case is currently being handled, was told earlier last week by representatives from ClientEarth, a non-profit environmental law organisation, and European Commission lawyers that the UK Government won’t meet nitrogen dioxide limits in London, Birmingham and Leeds until after 2030. Representatives from the UK Government tried to suppress this information using rules on legal privilege, but later during the proceedings they admitted to it as it became clear that the DEFRA (the Department for Environment, Food and Rural Affairs in the UK) had published information in support of this claim the day before on its website. Until now, the UK government has maintained it would meet nitrogen dioxide limits by 2025 in London and by 2020 in 15 other zones. But the new admissions means that London is expected to meet the targets five years later than previously acknowledged, and 10 years later for Birmingham and Leeds. The air pollution reduction target has also been delayed and pushed back in many other cities around the UK. There's a lot of buzz around a recent study showing the toxic chemicals we use have a ripple effect farther up the food chain, causing birds to rapidly decline in number. For some time, the bee population has been steadily declining worldwide, and this is most directly attributed to the negative impact of pesticides. Now, there's a lot of buzz around a recent study by Dutch researchers, which has found that the toxic chemicals we use are having a ripple effect farther up the food chain, causing insectivorous birds to rapidly decline in number. The study was the collaborative effort of researchers with the Radboud University Institute of Water and Wetland Research, the Dutch Center for Field Ornithology, and Birdlife Netherlands. In a joint statement, the researchers declared, "Neonicotinoid insecticides have adverse effects on non-target invertebrate species. 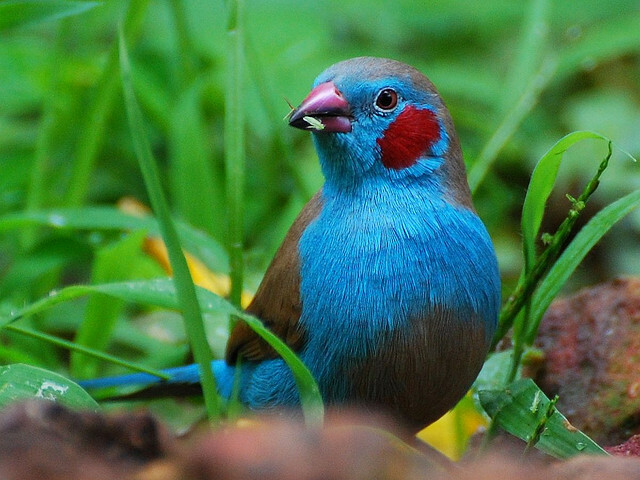 Invertebrates constitute a substantial part of the diet of many bird species during the breeding season and are indispensible for raising offspring. In the Netherlands," for example, "local bird population trends were significantly more negative in areas with higher surface-water concentrations of imidacloprid," a type of pesticide. "At imidacloprid concentrations of more than 20 nanograms per liter, bird populations tended to decline by 3.5 percent on average, annually," they continued. The overall results of the study, they said, shows "that the impact of neonicotinoids on the natural environment is even more substantial than has recently been reported and is reminiscent of the effects of persistent pesticides in the past. Future legislation should take into account the potential cascading effects [of insecticides] on ecosystems." Neonicotinoids are interesting in that their origins lie with two corporations already strongly linked with outright for-profit environmental destruction: Royal Dutch Shell and Bayer. These insecticides, which are chemically similar to nicotine, were first developed and used in the 1980s by the Shell, and in the 1990s by the German chemical and pharmaceutical company. In 2009, on the specific neonicotinoid called imidacloprid that the Dutch researchers referenced, Bayer made a profit of over one billion alone, according to the Journal of Agricultural and Food Chemistry. There is, however, a loss occurring, albeit an ecological one, not a financial one. Such was the conclusion of the Task Force on Systemic Pesticides, which conducted another recent report on the matter. They explained, "Neonicotinoids persist for months and in some cases years, and environmental concentrations can build up. This effectively increases their toxicity by increasing the duration of exposure of non-target species. The effects of exposure [in wildlife] range from instant and lethal to chronic." Effects could include "altered feeding behavior and reduced food intake [in birds], reduced foraging in bees, and altered tunneling behavior in earthworms." Dr. David Gibbons, head of the Center for Conservation Science at the Royal Society for the Protection of Birds, remarked, "This elegant and important study provides worrying evidence of negative impacts of neonicotinoid insecticides on birds. Usage of these pesticides has been particularly high in some parts of the Netherlands. Monitoring of pollution in soils and waterways is urgently required, as is further research into the effects of these insecticides on wildlife." Climate change deniers, as well as people who are skeptical against other forms of established science, will from now on be given much less coverage from the BBC. 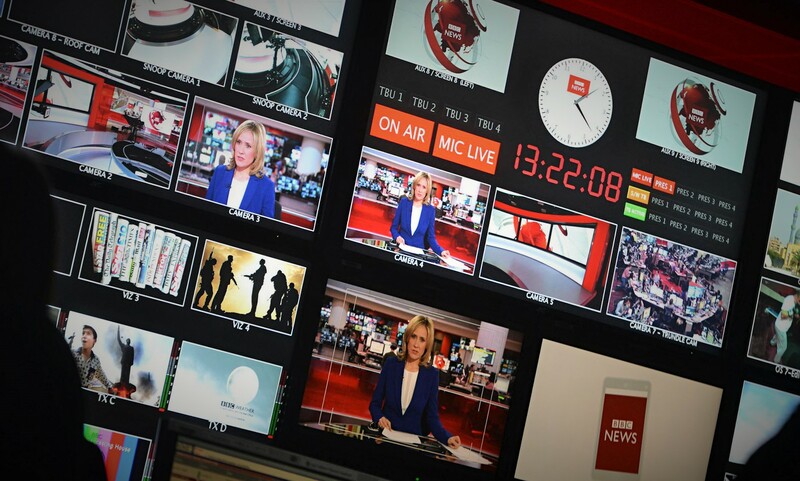 The move comes after the release of an independent progress report (pdf) from the BBC Trust, the governing body of the public service broadcasting network. The report criticised the BBC for giving too much airtime to unqualified people with "marginal views" on non-controversial scientific facts, such as climate change, in a misguided effort to provide impartiality and editorial balance. "The Trust wishes to emphasize the importance of attempting to establish where the weight of scientific agreement may be found and make that clear to audiences," the BBC Trust writes in the report. "Science coverage does not simply lie in reflecting a wide range of views but depends on the varying degree of prominence such views should be given. […] Impartiality in science coverage does not simply lie in reflecting a wide range of views," the report concludes. The report builds upon a similar review issued back in 2011 which took a closer look on the networks' accuracy and impartiality when reporting on various scientific issues. The 2011-review came to the conclusion that the BBC had an "over-rigid" approach to impartiality that often resulted in "undue attention to marginal opinion" - such as climate denialism. As a result of that review, around 200 journalists and staff members at the BBC attended various seminars and workshops intended to improve their science coverage. However, this does not mean that skeptical voices will be silenced altogether. The BBC Trust still thinks it's important that the public service broadcasting network gives coverage to dissenting opinions and to reach an ideal balance of coverage. But the viewers should from now on be able to more easily distinguish between scientific facts and opinions. "Audiences should be able to understand from the context and clarity of the BBC’s output what weight to give to critical voices," reads the report. Renewable energy and football – a perfect match? 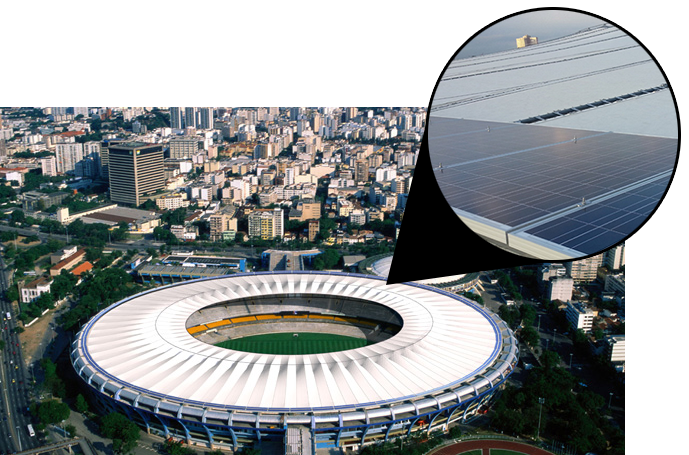 For the first time ever, solar energy powered two of the FIFA World Cup stadiums in Brazil with clean energy. For the first time, the FIFA World Cup final in Brazil yesterday was powered by the sun. Solar panels have been installed on both the Arena Pernambuco and the famous Estádio do Maracanã by Yingli Solar, the world’s largest solar panel manufacturer and a FIFA World Cup Sponsor. The solar panels are expected to generate more than 1MW per year of clean electricity. FIFA and Yingli has installed 1500 solar panels on the Estádio do Maracanã, one of football’s most iconic venues and South America’s largest stadium. The solar panels will generate over 550MWh of clean electricity which can power an estimated 240 homes annually. The solar panels will prevent the release of about 350 tons of carbon dioxide into the atmosphere each year, similar to the impact of planting 14,000 trees. The Arena Pernambuco, home to five matches of the FIFA World Cup, was powered by a much bigger solar installation. The plant - located in São Lourenço de Mata, a suburb of Recife, the regional capital of the Brazilian state of Pernambuco - uses more than 3650 high-efficiency panels to generate about 1,500MWh of clean electricity each year. The solar power generated could power 600 average homes and is expected to offset about 800 tons of carbon dioxide each year, similar to the impact of planting 35,000 trees. It’s also the first solar power plant in Pernambuco. Besides their affordable and stylish furniture, IKEA might soon also start selling electric bikes to eco-friendly commuters in their 303 stores around the world. At least that’s what the Swedish company, most known for their flat-packed pieces of furniture, is hoping for. 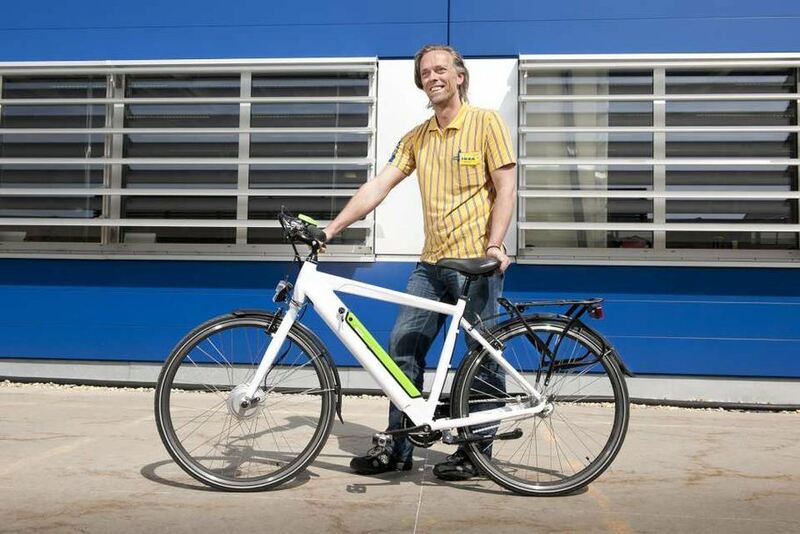 But for now, the electric bike is only sold in one IKEA store – the first one they opened – located in Älmhult in Sweden. The electric bike is being sold as a test product to see if it’s popular enough to become a viable product in all its other stores. “Here we test new products. And this is a test product. We want to see what the interest is and be sure that we can take care of the product, even after the purchase,” said Daniela Rogosic from Ikea. The electric bike is called Folkvänlig, which is Swedish for people (=folk) friendly (=vänlig), and will come in a “male” and “female” version. If you live near Älmhult in Sweden, the electric bike will cost you 5995 kronor, which is about €600 or $800. IKEA Family members will be able to buy it at a discounted price. The bike weights 25kg and is designed with a front fork in steel and a frame made in aluminium that holds the green-painted rechargeable lithium-ion battery. The battery powers a 250-watt electric motor which gives you a pedal-assisted range of 60 to 70 km per charge. It takes about 5 to 6 hours to fully charge the battery and you can charge it from a standard electric-outlet in your home or at work. The bike is also built with a Shimano transmission with six different driving modes and comes with a two-year warranty (except for normal wear and tear parts such as tires, chains and brake pads, etc.). The bike is heavy but looks much better than similar-priced electric bikes where the battery is often located in the back. And yes, the electric bike will be sold in a flat package and you’ll have to put it together yourself – in a classic IKEA-way. President Obama used his executive authority on June 17 to create the world's largest marine sanctuary. This has huge implications for the environment, as it bans commercial fishing, mining, and oil exploration in a major portion of the Pacific Ocean. The move will bypass Republican lawmakers who have long acted as roadblocks to environmental struggles, and could protect up to 800,000 square miles of the south-central Pacific from commercial and corporate exploitation. To this end, the Obama administration also announced the development of a new task force that will combat illegal fishing operations in the Pacific. The President will also consult with scientists and conservationists before determining the precise location and geographic scope of the sanctuary. It will, however, border and vastly expand the areas around the Pacific Remote Islands Marine National Monument, which was established back in 2009 and placed 77,020 square miles under the protection of the U.S. Fish and Wildlife Service. Obama also sought to add more national monuments. In a continuation of his use of executive power, under the Antiquities Act of 1906, he will designate 11 new national monuments on land across the U.S., allowing a plethora of new protections for millions of acres of precious wilderness. "We can protect our oceans for future generations," said the President. "Growing up in Hawaii, I learned to appreciate the beauty and power of the ocean. And like Presidents Clinton and Bush before me, I'm going to use my authority as President to protect some of our most precious marine landscapes, just like we do for mountains and rivers and forests." The move came directly on the heels of a bold and direct speech by Obama during a commencement address at the University of California-Irvine on June 14. During that address, the President openly criticized the obstinance of Republicans who denied the threat of climate change and the need to defend the environment. He encouraged young voters to speak out about environmentalism and reiterated the need to get legislation passed to change things for the better. With this plan for what will be the largest protected marine area in history, it would seem that Obama is showing he has lived up to his words. The White House's new task force is part and parcel of Obama's new initiative. It will be called the Presidential Task Force on Combating Illegal, Unreported, and Unregulated Fishing and Seafood Fraud, and will report to the National Ocean Council, which itself was established via executive order in 2010. Obama explained that illegal and unregulated fishing in the Pacific continues to "undermine the economic and environmental sustainability of fisheries and fish stocks. Global losses attributable to the black market from such fishing are estimated to be $10-23 billion annually, weakening profitability for legally caught seafood, fueling illegal trafficking operations, and undermining economic opportunity for legitimate fishermen in the U.S. and around the world." Meanwhile, anti-environment Republicans and corporate oil executives are likely seething over the development of the marine sanctuary. Thousands of square miles of what oil companies see as potential territory for offshore drilling will now be closed off to them. And in addition to defending the waters from such tampering, the area's tuna and other fish stocks will be able to recover and increase their numbers. Obama made the announcement at a State Department Our Ocean conference; amongst the attendees was actor Leonardo DiCaprio, who had been strongly pushing for such a move and had previously donated $3 million to the Oceana conservation group. He declared he would now donate an additional $7 million over the next two years to "meaningful ocean protection" and to bolster the President's move. DiCaprio called the interference of oil corporations and illegal fishing markets "the Wild West on the high seas," and called for "an end to the incessant plundering of the ocean and its vital resources." He added that this is a worldwide problem, remarking, "Since my very first dive in the Great Barrier Reef in Australia 20 years ago, to the dive I got to do in the very same location just two years ago, I've witnessed environmental devastation firsthand. What once looked like an endless underwater utopia is now riddled with bleached coral reefs and massive dead zones." 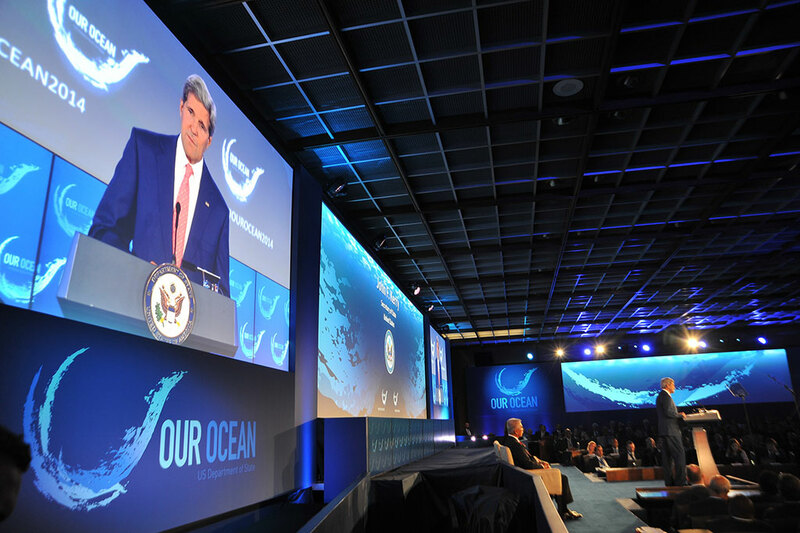 Secretary of State John Kerry added, "Most people think the ocean is larger than life; an endless resource impossible to destroy. But people underestimate the enormous damage that we as humans are inflicting upon the ocean every day." 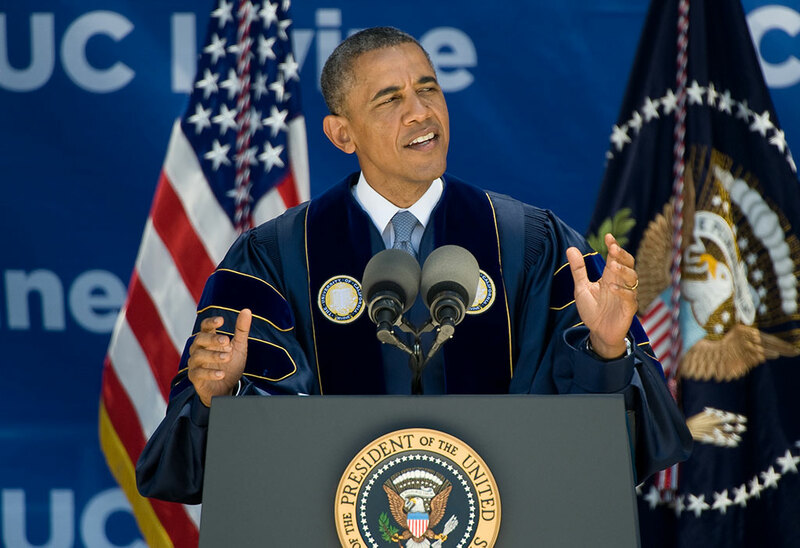 President Obama gave a de facto follow-up to his previous climate change speech on June 14, during his commencement address at the University of California-Irvine. In a bold and positive move, he called out climate change deniers, emphasized the urgency of the matter, and called on students to push the issue beyond the current partisan divide in Washington, D.C. He criticized the negative remarks made by Republicans in Congress, such as those of Rep. Dana Rohrabacher, R-Calif., who claimed that the effects of climate change, if any, were "unknowable;" and Sen. Marco Rubio, R-Fla., who diverted questions on global warming and simply said he was not a scientist. "One doesn't need to be a scientist," Obama pointed out, "to act on scientific issues while in public office." The President said that when Americans were set on a course for the moon, "nobody ignored the science. I don't remember anyone saying that the moon wasn't there or that it was made of cheese. Today's Congress, though, is full of folks who stubbornly and automatically reject the scientific evidence about climate change. They will tell you it's a hoax, or a fad. There are some who also duck the question. They say, 'Hey, look, I'm not a scientist.' And I'll translate that for you: what that really means is, 'I know that climate change is happening, but if I admit it, I'll be run out of town by a radical fringe that thinks climate change is a liberal plot, so I'm not going to admit it.'" Vox writer Ezra Klein said the speech was a diverse one in that it "was about more than just the Republican Party. 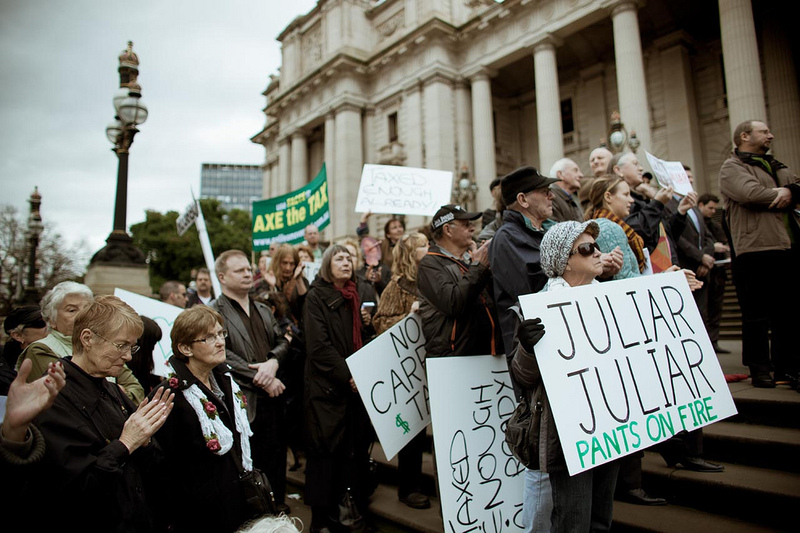 It was an impassioned case for why climate action is necessary. And it was, politically, a speech that showed Obama is done trying to convince Republicans to work with him on climate change and has moved on to trying to convince the public - and in particular, the next generation of American voters." Obama is indeed clearly trying to work with young environmentalists, as evident by his remarks: "People are [too busy] thinking about politics instead of thinking about what's good for the next generation. The reason I'm telling you this is because I want to light a fire under you. As the generation getting shortchanged by inaction on this issue, I want all of you to understand you cannot accept that this is the way it has to be. You're going to have to push those in power to do what this American moment demands. You've got to educate your classmates, colleagues, family members, and fellow citizens, and tell them what's at stake. You've got to push back against the misinformation and speak out for facts." Ben Adler, Grist.org writer, pointed out that Obama's act of reaching out to the new generation is a smart move. He said, "Republicans will never embrace climate action just because most people passively support it, or because environmentalists ardently do, but young people could entice them. The millennial generation is growing in electoral strength, leaning heavily Democratic but showing signs of disappointment with the Democrats. If young voters really did show elected officials that support for climate change is a prerequisite for their votes, Republicans might eventually take notice." "I'm not a scientist either," said the President. "But we've got some really good ones at NASA. I do know that the overwhelming majority of scientists who work on climate change, including some who once disputed the data, have since put that debate to rest." It's time, he concluded, "to invest in what helps and divest in what harms. We have to realize that climate change is no longer a distant threat. It has moved firmly into the present." The elephants in northern Mozambique survived the country’s bloody civil war, but now they are being killed by the hundreds every year. An aerial-survey, commissioned by WWF-Mozambique, shows that between 480 to 900 elephants died in the area between 2011 and 2013, with the majority of the deaths being blamed on poaching. “The elephant deaths are probably due to illegal hunting and the losses are likely to be devastating to the population,” said Anabela Rodriguez, Country Director of WWF-Mozambique. Almost half of the elephants sighted during the aerial-survey of the landscape at the end of last year were carcasses of dead elephants. WWF is now calling for urgent action following these shocking research results. But poaching seems to be increasing in not just Mozambique but also in neighboring South Africa. According to South Africa’s Department of Environmental Affairs, say that hundreds of rhinos have been killed. Figures released at the end of May showed that a total of 442 rhinos have already been poached in 2014 – with more than half killed inside the Kruger National Park. WWF is organizing a meeting with conservation NGOs, wildlife experts and government officials this week to find ways to stop this renewed onslaught on the elephant and rhino populations of southern Africa. But weak enforcement, vulnerable borders and corruption in Mozambique makes it hard to co-ordinate an effective response to poaching. 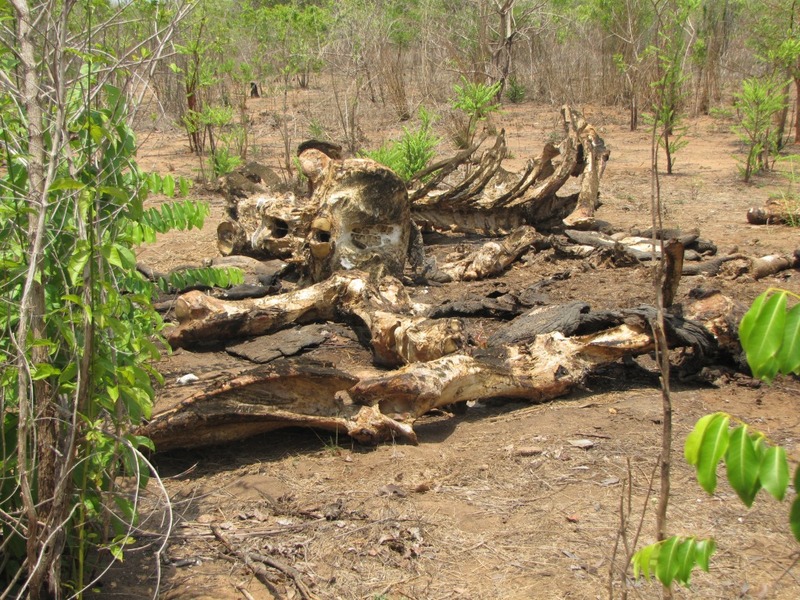 WWF calls for strengthened law enforcement and increased awareness “across all sectors of society” about the illegal wildlife trade that fuels the poaching in Mozambique. New research shows that our existing economic models “grossly underestimate” the costs of climate change. As a result, current carbon prices are 10 to 20 times lower than they need to be to stop catastrophic climate change. The shocking (but somewhat not surprising) findings are presented in a new study by leading climate economist Nicholas Stern and co-author Simon Dietz, from the UK’s Grantham Research Institute. According to their research we need a globally coordinated carbon price of $32 to $103 per tonne of emissions, as early as next year. And within two decades the price need to almost triple and rise to $82-260 per tonne of carbon emissions. Current carbon prices are much, much lower than this. In the European Union, a tonne of carbon emissions costs €5.7 or about $7.7. In California a tonne of carbon emissions - despite having one of the world’s highest carbon price - only costs around $12. The report, which will be published in the Economic Journal, came to this conclusion after reviewing the DICE-model, a widely-used economic model developed by Yale Professor Bill Nordhaus in 1991. This model by Nordhaus has served as a basis for other major climate studies – such as the recent IPCC report. The problem though is that the DICE-model is based on data of the climate impacts we had knowledge about in the 90s. But nowadays, that data is old as we now know that the climate impacts are much worse than we previously expected. Unfortunately, the usage of this old model has led to a severe underestimation of the taxes and fees required. “It is extremely important to understand the severe limitations of standard economic models, such as those cited in the IPCC report, which have made assumptions that simply do not reflect current knowledge about climate change and its [...] impacts on the economy,” Stern said. The revised economic model by Stern and Dietz takes into account new and updated climate data. It also calculates that the ability to generate new wealth would be affected by climate change – due to climate impacts such as extreme weather, destruction of coastal and water infrastructure, and so on. “The new version of this standard economic model, for instance, suggests that the risks from climate change are bigger than portrayed by previous economic models and therefore strengthens the case for strong cuts in emissions of greenhouse gases,” Dietz said.